Deep-condition beforehand. Couple of weeks before your appointment, ask your stylist to introduce you to our deep conditioning treatments, "Do a few rounds of deep-conditioning treatments before you come in for your perm appointment to make sure your hair is as healthy as it can be. Maintain. After the perm, maintenance is so important!. If you don't take care of even the best perm, your hair can turn out frizzy when you blow-dry it! The best thing is to air-dry and use a super-moisturising shampoo. ​​How Long Does a Perm Take? ​​How Long Does a Perm Last? How Long Does a Perm Last?Most perms generally last for about 2-6 months. 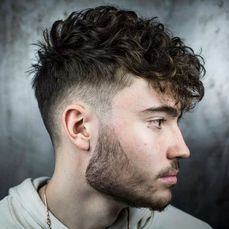 ​How Long Does a Perm Last?Most perms generally last for about 2-6 months.